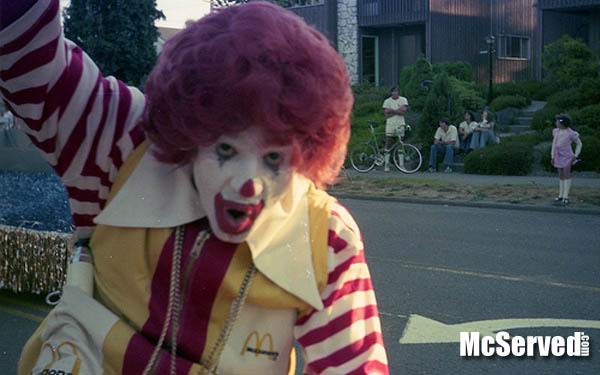 Ronalds | McServed: Getting Served McDonalds Fast Food Funnies, Laughs and More! Ronald won’t leave you for how you look and who you are… he can’t… he’s tied to the bench post. Upset the established order, and everything becomes chaos. If you’ve ever tried ordering a cheesebuger without pickles, you’d know what I mean.. 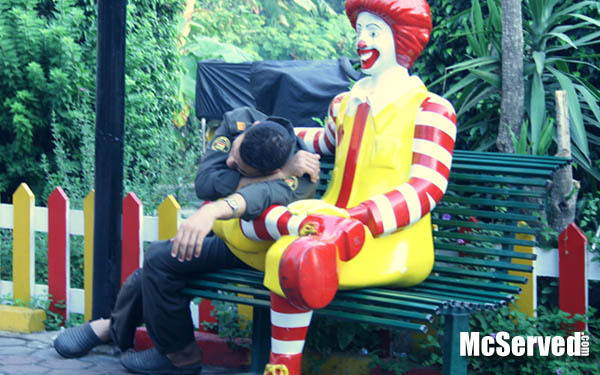 This rent a cop found no where else to sleep except on Ronald. 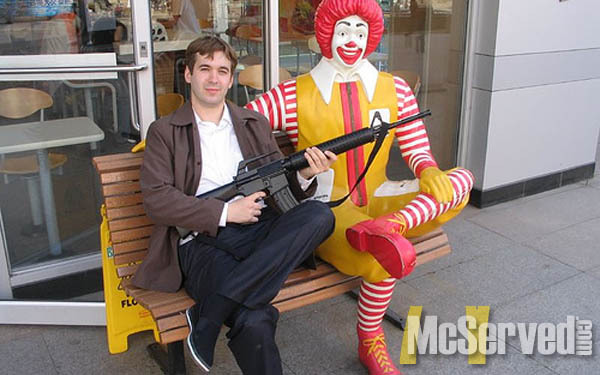 Good thing they have him for the next McRobbery.